A great evening with Penny Rimbaud and Louise Elliot. 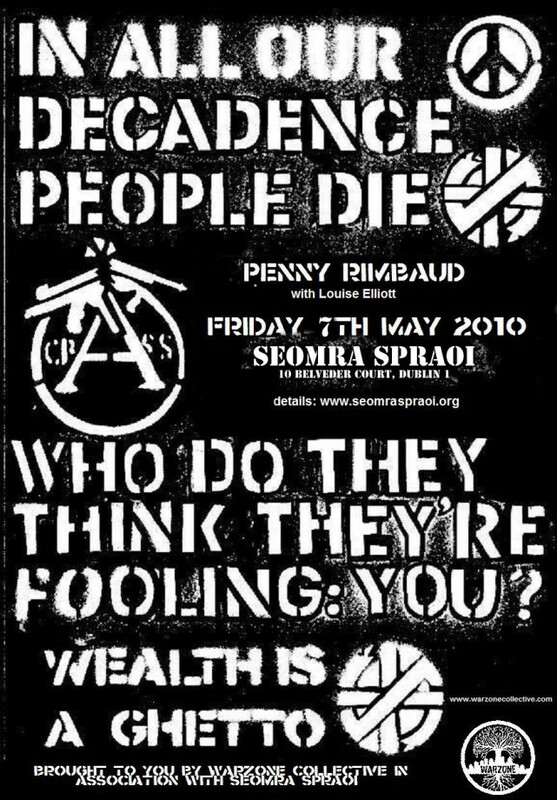 Rimbaud is a writer, performer, and co-founder of punk band, Crass. He’ll be reading some of his latest poetry, accompanied by Australian saxophonist, Louise Elliott. Penny Rimbaud is a poet, drummer, writer, former member of the performance art group EXIT and co-founder of the anarchist punk band Crass, with Steve Ignorant in 1977. He also set up the anarchist/pacifist Dial House community in 1967 with Gee Vaucher and Phil Russell and helped to instigate the free festival movement. Louise Elliott an Australian tenor saxophonist and has performed with a wealth of international musicians. Originally known for her appearances with cult rock outfits Laughing Clowns, The Saints, Ed Kuepper and Paul Kelly, Louise has a fiery commitment to inspiring and energetic live performance which has been referred to in the media as â€œher profoundly diverse smorgasbord of funk, blues and rockâ€ and â€œan African inspired jazz explosionâ€. She has played with Penny Rimbaud for 9 years. Accompanied by haunting sax, Penny Rimbaud will read a selection of his work. Join us for an unforgettable evening with a truly righteous, independent spirit. There’ll be a Q & A after, followed by punk disco. 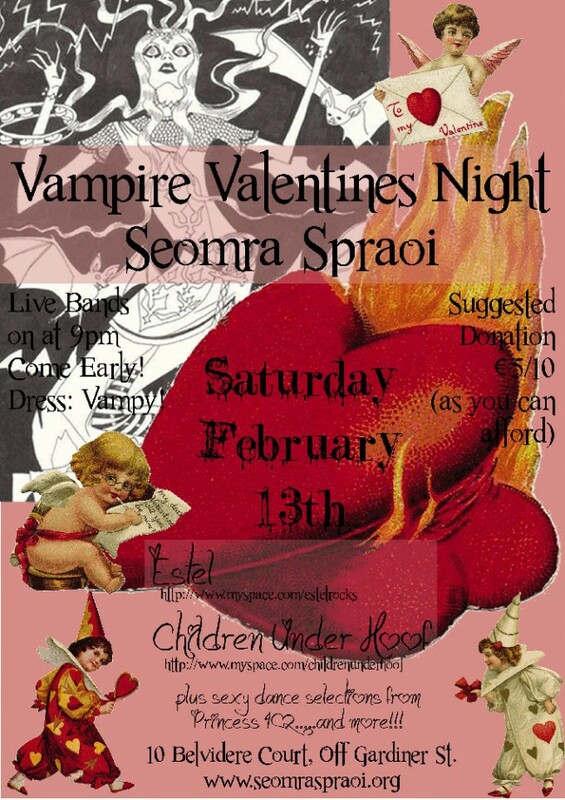 Starts 8pm, BYOB, â‚¬10 waged, â‚¬5 unwaged suggested donation. The Ireland Palestine Solidarity Campaign (IPSC) is holding a day of workshops, skill sharing and social events for people who are interested in learning more about Palestine and geting involved in active campaign work here in Ireland. There will be a range of discussions and workshops covering both practical and theoretical issues as well as film screenings, a Palestinian food and a social evening. Palestine Day aims to provide a space for building on and sustaining the processes that lead to establishing a well informed grassroots mass movement here in Ireland. This event is part of a series of IPSC events to commemorate the Nakba â€“ the ethnic cleansing of Palestine which led to the establishment of the exclusivist state of Israel. In 1948 over 700,000 Palestinians were driven from their homes, civilians were massacred & hundreds of Palestinian villages deliberately destroyed, this expulsion continues today. We can’t stop yesterday’s atrocities; we must prevent today’s. Learn how to make a durable, effective banner without all the hassle. Materials will be provided. Hosted by Bas O’Currain. This session will deal with practical steps and ideas on how to go about organising a student society branch of the IPSC in your university. We’ll discuss some of the issues, outline the resources we could provide and how best to make your campus based work effective. The theoretical reasoning behind the BDS campaign and the necessity for such a campaign will be discussed by IPSC Chairperson Dr. David Landy while practical ideas for boycott actions and campaigns will be discussed by prominent Dutch activist Christine DeVos. A brief history of the Leftist parties in Palestine will be given by Kevin Squires and Freda Hughes of the IPSC who will go on to discuss the current fractious nature of the Left and the new generation of collectivists emerging within Anti-Zionist activism. The Land Speaks Arabic documents the founding of the Zionist movement and the expulsion of Palestinians in the early part of the 20th century. In this documentary the late 19th century birth of Zionism â€” and its repercussions for Palestinians â€” is detailed with original source documents, Zionist leaders’ quotations, rare archival footage, testimonies of witnesses and interviews with historians. All help to illustrate that the expulsion of the indigenous Arab population from Palestine was far from an accidental result of the 1948 war. This award-winning film shines a spotlight on the ethnic cleansing of Palestine by the Zionist movement. On the night there will be Palestinian food, Palestinian and Arabic music (from folk to electronica to hip hop) and craic galore. 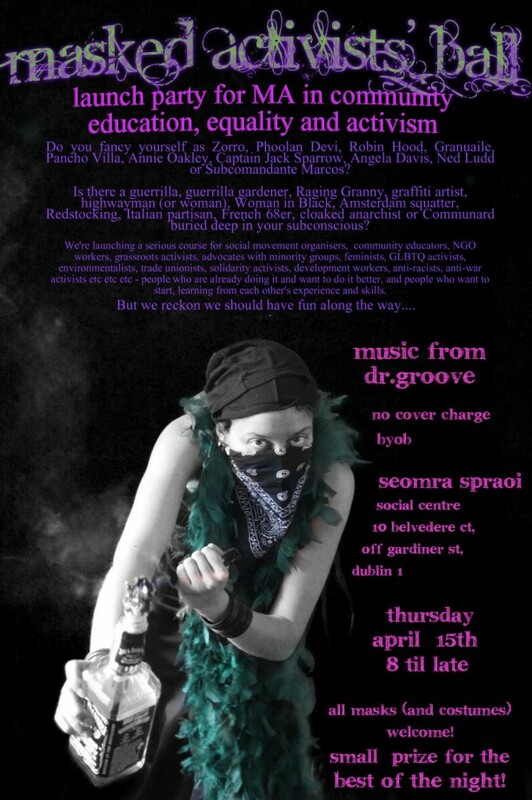 This is a bring your own booze event, and the cost of entry is just a suggested donation of â‚¬5. This may or may not include a free bottle of Palestinian Taybeh beer while stocks last. Falafel plate, Tabouleh, Tzatsiki, Harissa, Humus and Chips will be provided by the Seomra Kitchen Collective for a donation of â‚¬5. 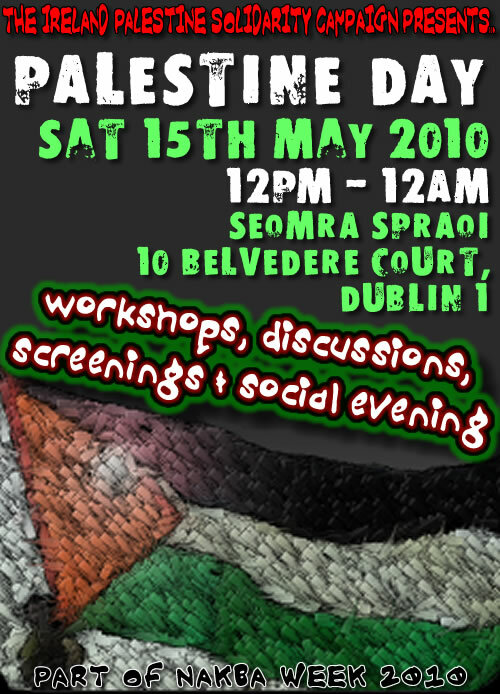 This event is organised by The Ireland Palestine Solidarity Campaign (IPSC) as part of Nakba Week (May 8thâ€“15th) and will be held in Seomra Spraoi. This event will operate on a donation basis and is open to all. 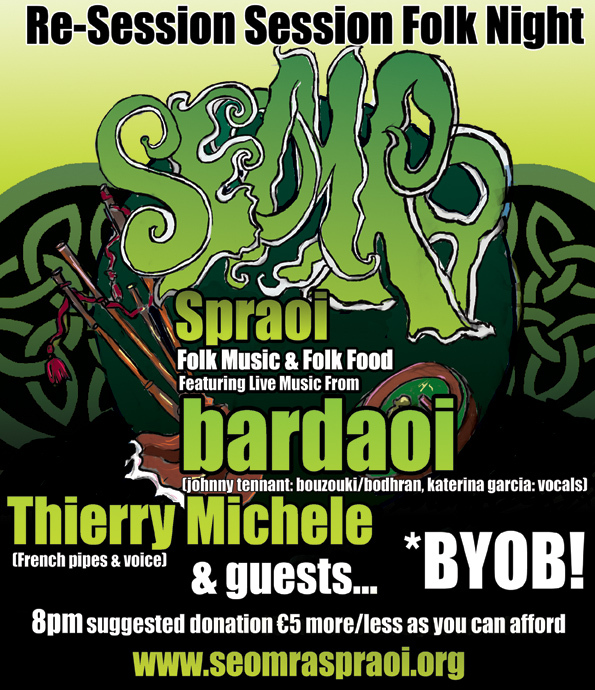 Food will be provided by the Seomra Kitchen Collective who also operate on a donation basis. The next RAG open meeting will take place on Monday, 12th April, 2010 at 7:30pm. An Israeli activist will share from her experiences of speaking out and standing against strong racism, militarism, oppression, and all odds, in struggling to end the occupation of Palestine. She will present a few projects that she had been involved in, including a screening or two, and will share lessons learnt about sustaining the activity and ourselves. Do you fancy yourself as Zorro, Phoolan Devi, Robin Hood, Granuaile, Pancho Villa, Annie Oakley, Captain Jack Sparrow, Angela Davis, Ned Ludd or Subcomandante Marcos? Is there a guerrilla, guerrilla gardener, Raging Granny, highwayman (or woman), graffiti artist, Woman in Black, Amsterdam squatter, Redstocking, Italian partisan, French 68er, cloaked anarchist or Communard buried deep in your subconscious? Set them free at the Masked Activists’ Ball! All masks (and costumes) welcome â€” small prize for the best of the night! The revolutionary tradition for 80% of the population means Irish republicanism. From bar stools to marginalized neighborhoods it has popular appeal way beyond that of anarchism, trotskyism or any other ism. Should we be wrapping ourselves in the green or breaking from it? If you’re on Facebook you’ll find a group for this discussion series. A representation (in dark comic style) of the true story of 300 Spartans standing up against thousands of invading Persians in 480 BC. 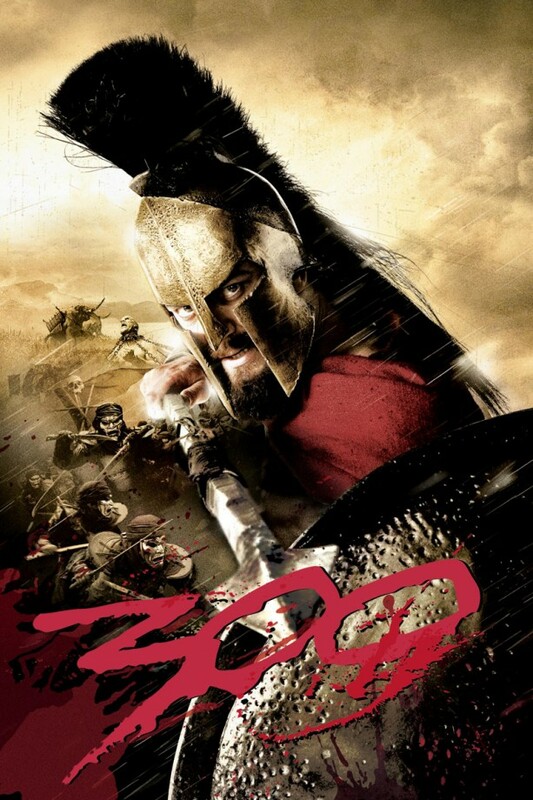 â€˜300â€™ tells the story of the Battle of Thermopylae in 480 BC. Persians, under the rule of (God) King Xerxes, have already taken over some of the Hellenic city-states and now threaten Sparta and Athens. King Leonidas of Sparta is left with either having to sacrifice himself for the well-being of Sparta or watch it burn to the ground. The story depicts the epic last stand of the finest Spartan soldiers who are aware of their fate, but motivated by honour and glory see the battle as their duty to protect Greece. Suggested donation â‚¬5 more/less as you can afford.